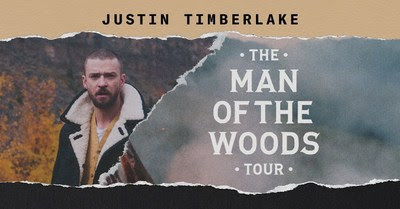 LOS ANGELES, Jan. 16, 2018 /PRNewswire/ — Due to sell out shows across North America, Justin Timberlake has revealed ten additional dates for the coveted The Man Of The Woods Tour. Second shows have been announced in Toronto, New York, Chicago, Boston, Montreal, Las Vegas, San Jose, and Los Angeles. Two new cities have also been added, with shows in Pittsburgh on June 1 and Philadelphia on June 2. 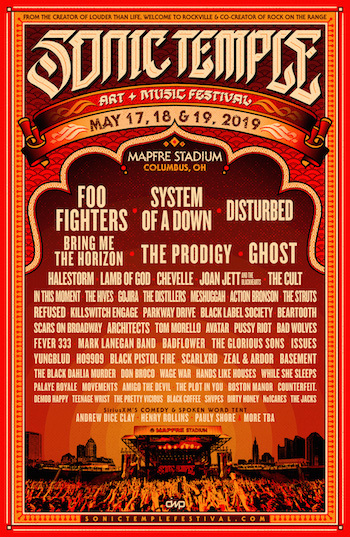 Produced by Live Nation Global Touring, Wright Entertainment Group, LBI Entertainment & Tennman Touring, the North American outing kicks off March 13 in Toronto. Timberlake‘s forthcoming album Man Of The Woods is scheduled for release on Friday, February 2. His highly-anticipated performance at the Pepsi Super Bowl LII Halftime Show will take place on Sunday, February 4, the third time he is performing at the most watched musical event of the year. Timberlake‘s last tour was the critically acclaimed The 20/20 Experience World Tour, which sold out arenas and stadiums around the globe in 2013 and 2014. American Express® Card Members can purchase tickets before the general public. For dates on sale to the general public on Monday, January 22 the American Expresspresale begins Wednesday, January 17 starting at 10am local time through Sunday, January 21 at 5pm local time. For dates on sale to the general public on Monday, January 29 the American Express presale begins Wednesday, January 24 at 10am local time through Sunday, January 28 at 5pm local time. For additional onsale details see full tour routing below. At every U.S. stop on The Man Of The Woods Tour there will be a VIP Verizon Up section, putting customers up close and personal to the stage and JT. Verizon Up, the company’s loyalty program, is all about thanking customers through everyday rewards and exclusive experiences, like getting closer to the artists they love – including JustinTimberlake.